Designed in 1969, but still in production by Vitra. This very clever organiser Utensilo. I fit well into any of the era’s that passed after it was designed. Plastic fantastic 70’s, bare 80’s and all the revivals of these since. 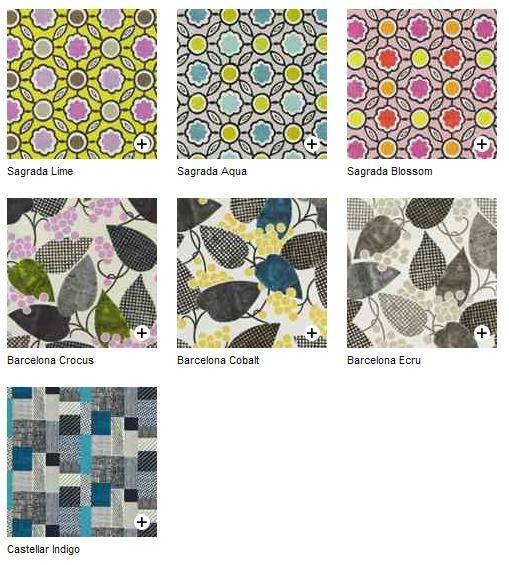 But it’s timeless and simple design make it fit for any trend or style anyway. And it’s very practical! Created by Dorothee Becker it comes in three different colours: white, black and red. Try finding one on sites like eBay, but if you fail, there are lots of online shops selling new ones staring at around $250. Inspired? The Homevoyeurs webshop sells many books about design classics and Vitra. For instance Project Vitra: Sites, Products, Authors, Museum, Collection, Signs from Birkhauser Architecture. The book costs $32.25 and is eligible for FREE Super Saver Shipping on orders over $25! Project Vitra began in 1957 in Birsfelden near Basel with the production of the furniture of Charles and Ray Eames and George Nelson. Today Vitra is active and known throughout the world for its products and cultural initiatives, which are evidenced by the Vitra Design Museum, its collections, and the architecture of the firm s own corporate campus. Vitra sees itself first and foremost as a project driven by the desire and determination to design the world. This ambition is also the driving force behind Project Vitra, which offers an inside look at the firm s collaboration with architects and designers, including Charles and Ray Eames, George Nelson, Alexander Girard, Tibor Kalman, Frank Gehry, Tadao Ando, SANAA, Jasper Morrison, Zaha Hadid, Hella Jongerius, Maarten Van Severen, Ronan and Erwan Bouroullec, Jean ProuvÃ©, Mario Bellini, Antonio Citterio, Alberto Meda, Verner Panton, Herzog and de Meuron, and many others. 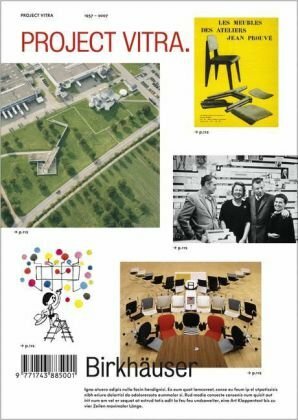 The copiously illustrated chapters with contributions by Alex Coles, Rolf Fehlbaum, Luis Fernandez-Galiano, Deyan Sudjic, and Alexander von Vegesack tell stories about the places, people, and products connected with Vitra. This overview is rounded off by a history of the firm and a comprehensive glossary. The days that knitting was something for the nerdy or elderly are far behind us. Knitting has taken the streets with some true street creds! Yarn Bombing, also known as Knit Graffiti is a form of graffiti with less destructive results. The tags are colorful displays of knitted objects or collages instead of paint. Anything can be yarn bombed. Busses, benches, poles, parking meters, statues or, as the yarn bombed Banksy below shows, existing graffiti. It is said to have originated in Houston Texas in 2005 by design collective Knitta Please. Feel inspired? Read more about knitting and Yarn Bombing in some of the books for sale in the Homevoyeurs webshop. 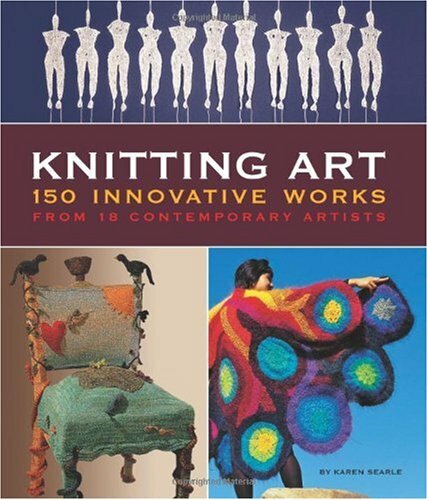 In particular this book about Knitting art. Available for $23,09 and eligible for free shipping! Tom Ford’s award-winning movie A Single Man was aesthetically stunning. I was in awe with the decor, light, set dressing, design; everything. It helped that two of the most beautiful people in the world starred in it. 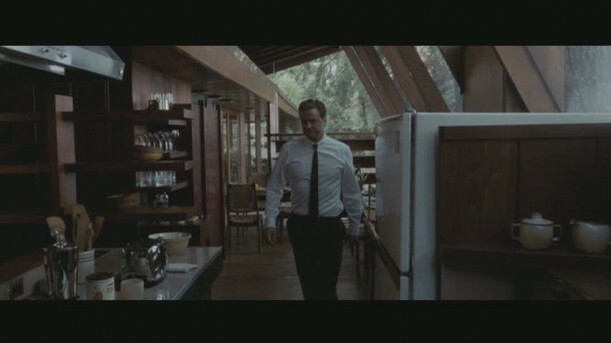 I really loved Julianne Moore’s house, but was also quite partial to Colin Firth’s glass mid Century gem of a home. The home, designed by renowned architect John Lautner, was built in 1949. It’s currently on the market for $1,495,000. The house has been recently restored to its original natural redwood and glass beauty. A classic that Frank Gehry and Frank Escher both count among their absolute favorite homes. It boasts so many glass walls it feels transparent at times. Want to know more about John Lautner? The Homevoyeurs.com webshop sells many books about this influential 20th Century architect. 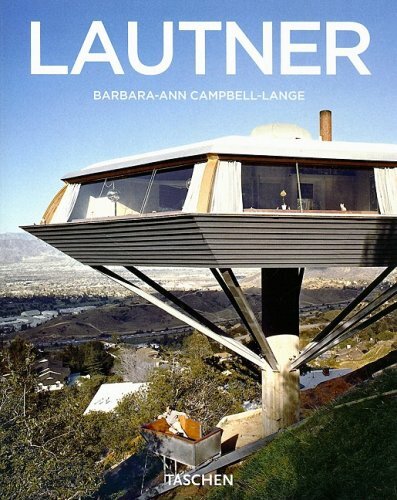 For instance this coffee table book Lautner, 1911-1994: disappearing Space, by Barbara-Ann Campbell-Lange. It’s on sale for $9.99. Tagged a Single Man, filming locations, for sale, Glendale home, John Lautner, movie homes, Schaffer Residence. The twentieth century in Russia has been a cataclysm of rare proportions, as war, revolution, famine, and massive political terror tested the limits of human endurance. The results of this assault on Russian culture are particularly evident in ruined architectural monuments, some of which are little known even within Russia itself. 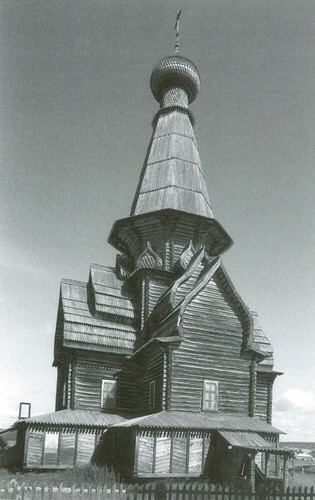 Over the past two decades William Craft Brumfield, noted historian and photographer of Russian architecture, has traveled throughout Russia and photographed many of these neglected, lost buildings, poignant and haunting in their ruin. Lost Russiaprovides a unique view of Brumfield’s acclaimed work, which illuminates Russian culture as reflected in these remnants of its distinctive architectural traditions.